Why go? To get away from it all staying in a relaxed five-star Relais & Chateaux hotel set on a 300 acre private island estate. Best for: An autumn or winter break for singles, couples, families, non-drivers and dog-owners. 12 miles north of Oban, the Isle of Eriska Hotel is a luxurious family-run hotel set at the mouth of Loch Creran. It works well in all weathers with plenty to do outdoors while inside it’s all very cosy and homely. 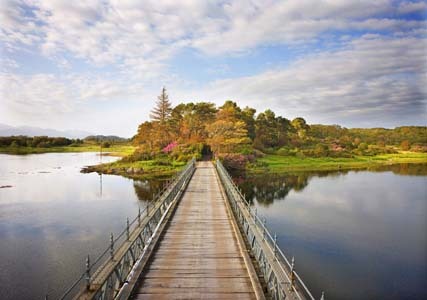 Eriska is a two-hour drive northwest of Glasgow, and also accessible by train from Glasgow Queen St station. The look: Reached by following a single-lane road then crossing a bridge, the hotel was once the summer home of the Stewarts of Appin. Built in 1884 in a Scottish Baronial style it spurns tartan tweeness in favour of classic country house comforts. You can’t see the sea from the Big House, where most of the rooms are, but it’s not far away and there’s also lots of woods nearby. The decor is subdued contemporary luxe favouring beige, taupe, grey and purple with moments of bright colour. All the rooms have their own individual character – Seil is an attractive standard room on the first floor, while the deluxe Tanera is tucked away on the top floor with a sloping ceiling. Downstairs there’s a good supply of drawing rooms with big chairs and sofas, ideal for lazing by the log fire with the Sunday papers. The bar is set in the old library with a small conservatory where some befriended badgers come to be fed every night after dinner. Deer are also a common sight in the grounds. Other bedrooms are set in a separate run of luxury spa and two-bedroomed cottage suites, five of which have an outdoor hot tub. I’m hungry… That’s good, because staying at the Isle of Eriska is all about relaxing and eating well. Recently arrived, chef Ross Stovold knows his stuff. Breakfasts are well-executed and fortifying, featuring Scottish favourites such as Stornoway black pudding, venison sausage, kippers and the hotel’s own organic smoked salmon. The four-course dinner (£50) is a civilised affair with dishes ranging from seabass from Mallaig to a superlative roast sirloin of aged Scottish beef served from a copper-domed trolley on Sundays. There’s also a splendid farmhouse cheese trolley and a satisfying wine list with house wines from £20 a bottle. Once at Eriska, activities range from mountain biking and wildlife-spotting to meeting the hotel’s resident dogs, Blue and Dibley. Sports facilities include a nine-hole golf course, tennis (indoors), plus there’s a 55ft indoor swimming pool, sauna, steam room and three spa treatment rooms using ESPA products. Unfortunately the changing rooms are rather tired and dated. For a hearty walk, head to nearby Benderloch (you can walk then call a taxi to bring you back) to climb the 1,010ft peak of Beinn Lora. There’s a marked trail and your reward will be exhilarating views over the Firth of Lorne to Mull and beyond. The three-mile hike takes about two hours there and back, for more information see forestry.gov.uk. Dress code: Country casual. Wellies and brollies can be borrowed from the hotel. 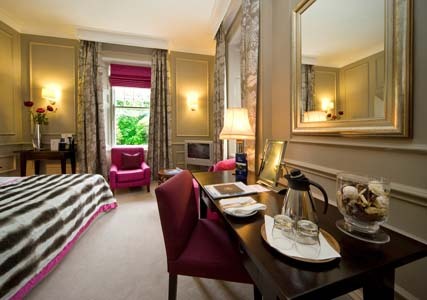 Book now: Isle of Eriska Hotel, Oban, Argyll and Bute PA37 1SD (01631 720371; eriska-hotel.co.uk). In November double rooms cost from £360 including breakfast and afternoon tea for two. There is a minimum stay of two nights. Wifi is complimentary. 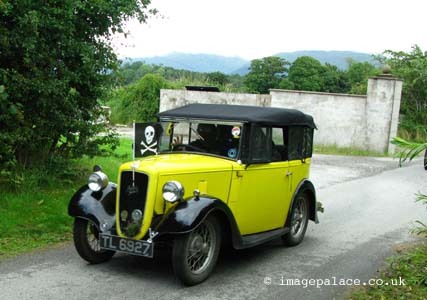 A taxi from Oban rail station takes 20 minutes and costs around £25. Info: Useful websites are visitscottishheartlands.com, visitscotland.com and oban.org.uk.